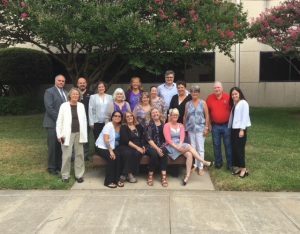 On June 21-22, 2018, the AMBER Alert Training & Technical Assistance Program (AATTAP) and National Center for Missing and Exploited Children (NCMEC) hosted the 2018 Family roundtable on the campus of Southern Methodist University in Plano, Texas. This year’s panel was made up of 13 family members of missing and abducted children from across the country. The cases ran the gamut from international parental kidnappings to long term missing cases. This year’s roundtable continued the trend of more cases that involved the use of technology by the perpetrator, children who went missing as a result of human trafficking, and long term missing children’s cases. This annual event is designed to gain input of family members from their perspective in the aftermath of their child going missing. The first hand experiences of these families is used to improve training and technical assistance programs and to provide recommendations into how child protection officials and the judicial system respond to these types of cases. .
Family roundtables have been a part of the AATTAP since its inception and have been instrumental in bringing the family perspective to the program. These roundtables have resulted in important initiatives such as efforts to eliminate “waiting periods” or delays on entering the missing child into the National Crime Information Center (NCIC).. Roundtables and requests from families have also lead to the development of successful training programs such as the AATTAP Advanced Cold Case and Long Term Missing course.